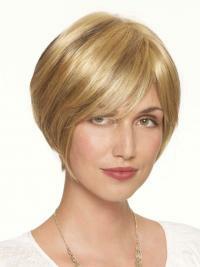 This wig has a beautifully constructed MONOFILAMENT, mono parting. This has been HAND TIED and will create the impression that the wig in this particular area, is coming from your own scalp. To ensure that the wig is airy, the main BODY of this wig is OPEN WEFTED. This means that the hair has been stitched by machine onto very thin strips of elasticized material. 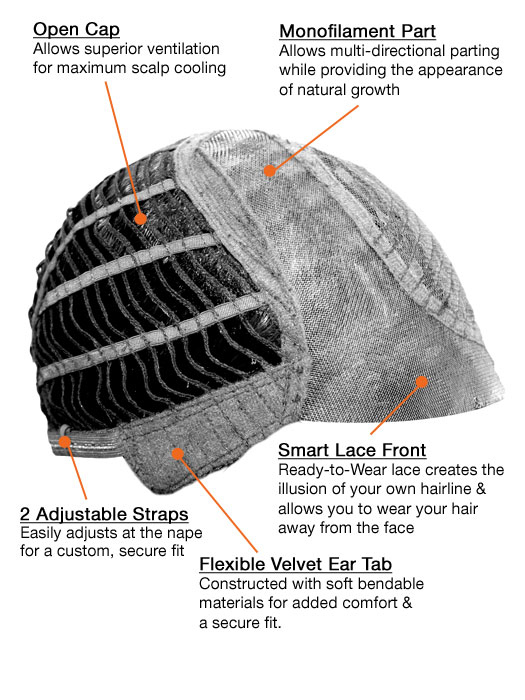 This design ensures that the wig is cool, lightweight & flexible. The colour on this wig gorgeous! It makes the years drop away, If you have long thick hair. I had to go and have my hair cut short, and thinned out for a more comfortable fit. Love this wig! It is incredible,and I feel so beautiful...I ordered this wig in chocolate. I loved the waves,but I used my straightening iron on it. The straight look is great too!!! You will not be disappointed,the movement is so light,and the skin part is in the perfect position.